The complaints submitted to Attorney General Maura Healey’s office all described a similar scenario: Patients sought treatment in an ordinary physician office or urgent care center. But to their shock, they were billed for an expensive outpatient hospital visit instead. After a routine checkup with a primary care doctor in Revere, one patient was charged an extra $372 “hospital’’ fee, according to one complaint. The practice is owned by Massachusetts General Hospital, 6 miles away. “I never set foot in the hospital,’’ the patient wrote. Another patient treated at the Patriot Place urgent care center in Foxborough complained about being charged far more than the $50 listed on the insurance card as the payment for urgent care visits. That is because the center’s owner, Brigham and Women’s Hospital in Boston, billed the patient for an outpatient hospital visit, the complaint said. “This is very misleading to consumers,’’ the patient wrote. RELATED: Laura Levis was left to die outside an ER. Why were the doors locked? Charging facility fees for off-site care is a common practice at hospitals across the country that is coming under growing criticism. An investigation by Healey’s office into such fees charged by Partners HealthCare and its hospitals, including Mass. General and the Brigham, led to a settlement in September. It was the first investigation of facility fees that the attorney general has conducted, a spokesperson said. Regulators alleged that Partners violated consumer protection law by failing to “adequately and fairly disclose’’ the fees, which generally are legal in the state. 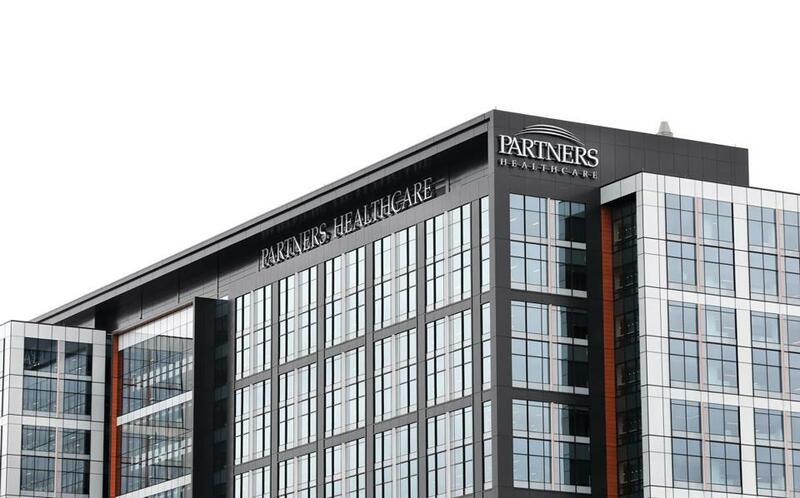 Partners denied the allegations and said it provides detailed billing information to patients, but agreed to improve disclosure by June as part of the settlement agreement filed in Suffolk Superior Court. A state health care watchdog and a coalition of health insurers want the Legislature to go further and outlaw the practice in certain circumstances. The attorney general’s office began probing Partners and Massachusetts Eye and Ear separately in 2016, but combined the inquiries when the hospital joined Partners earlier this year. The entities were also required to pay a total of $175,000 as part of the settlement. Following the settlement, the Globe obtained patient complaints filed against Partners and Mass. Eye and Ear over facility fees since 2015 through a Freedom of Information request. The attorney general’s office released 22 complaints, removing patient names and other identifying details. In a statement to the Globe last week, Partners said it “understands that in some circumstances the manner in which we bill patients for medical services can be confusing.’’ Hospital representatives said they cannot discuss specific cases because of patient privacy laws. Partners spokesman Rich Copp said the company is committed to transparency and already has taken steps to implement the requirements outlined in the agreement. Those steps include “conspicuously and clearly’’ disclosing in notices at all outpatient facilities that patients may be billed hospital fees that could be higher than they would pay for the same medical services elsewhere. The company must include similar information on its websites, in new patient welcome packages, and with appointment reminders. Partners, however, will continue to bill hospital facility fees for certain off-site care, a common practice in the hospital industry that is allowed by some insurance companies. The attorney general’s office declined to say whether it is investigating other hospital systems over failure to disclose facility fees. These charges have become more widespread in the past decade as hospitals across the United States buy up physician practices in the community. The fees have drawn scrutiny from Medicare, some insurers, and consumers, who say that they are unfair and that hospitals are driving up health care costs. The Massachusetts Health Policy Commission, an independent state agency that monitors health care spending, recommended outlawing facility fees in certain circumstances, but the Legislature’s response has been mixed. Some lawmakers agree with that approach, while others want to require only disclosure of the fees. The commission’s executive director, David Seltz, said the agency has secured voluntary commitments from some hospitals not to charge facility fees at new doctors’ practices they have purchased. The agency reviews certain acquisitions. Consumers seem especially confused about urgent care billing at a time when the number of urgent care centers is soaring. With 18 urgent care centers, Partners and its hospitals own or are affiliated with more such facilities than any other hospital system in the state. Patients complained about bills from the urgent care center in Foxborough, Newton-Wellesley Hospital’s urgent care center in Waltham, and a North Shore Medical Center-affiliated urgent care center in Danvers. They said they paid the amount listed on their insurance card for urgent care visits and thought they were all set. One woman received a $400 bill for treatment for an eye injury at North Shore Urgent Care in Danvers — far more than the $75 listed on her insurance card — because it was billed as an “outpatient clinic’’ visit, according to a complaint. Patients also complained about billing for dermatology care. A patient who had several warts removed at a practice in Chestnut Hill was billed more than $800 for an outpatient hospital procedure, because the Brigham owns the practice, according to a complaint. Hospital representatives said the institutions have been transparent with patients all along.